Later this month, Doom will get its third free content update, adding Deathmatch and Private Matches. 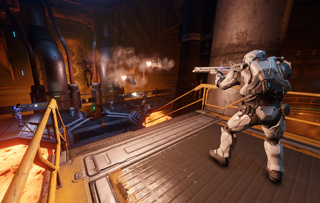 "Deathmatch brings free-for-all mayhem to DOOM's fast-paced multiplayer, while Private Matches allow you and your friends to create private multiplayer matches where you select the maps and modes. You'll also be able to adjust settings like the time limit, score limit, or turning demons and power weapon off or on." Previous free updates have added Photo mode, classic weapon placement, new game modes (Exodus and Sector), new SnapMap features, and more. Doom is one of the biggest hits of 2016 so far. id's updated take on the classic franchise has received rave reviews, including ours. While there's currently no specific release date for Free Update 3, id plans to show off the gameplay in a Twitch stream next Tuesday, September 13, at 2 PM ET. The press release simply says that the DLC will be "arriving this month."